Bitcoin was created to give individuals power and freedom over their money. 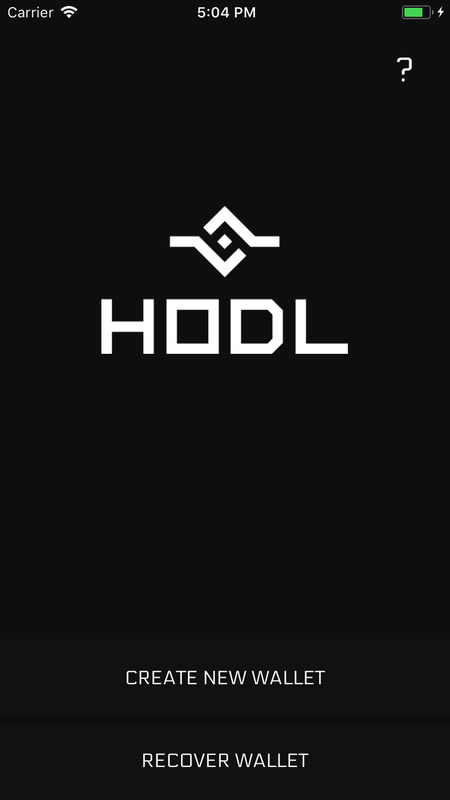 HODL Wallet is a powerful tool that enables you to seize this opportunity. 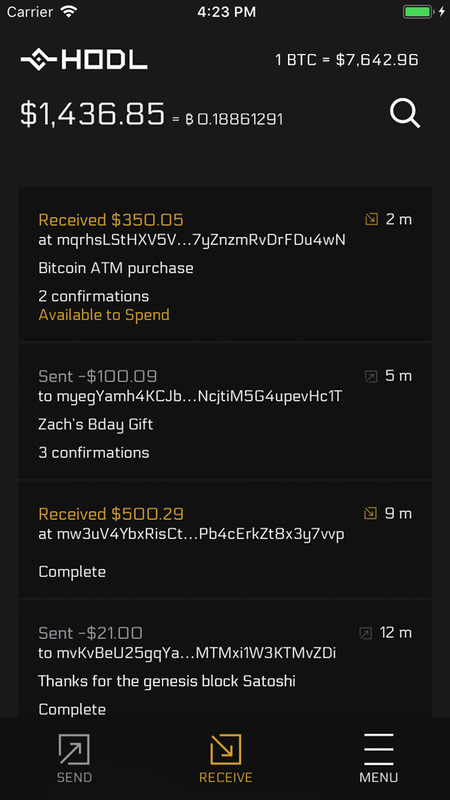 Download HODL Wallet to send, receive, and save bitcoin. It's free, open source, and decentralized. We believe you should hold your own bitcoin. We know you have what it takes. Our wallet was crafted to enable you to participate in the future. To hold your own value and empower you to be a sovereign individual. Bitcoin wasn’t created to have to trust someone else to hold it for you. Having someone else hold your bitcoin removes all the properties that make it special. We reject the idea that users shouldn’t or aren't capable of holding their own private keys. Users should use the Bitcoin network directly as it was always meant to be, without permission from third parties. 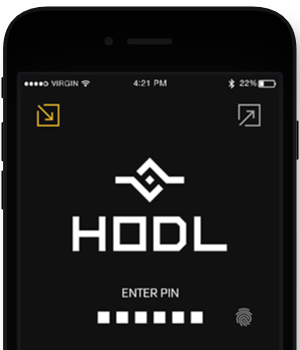 HODL Wallet’s goal is to make holding your own bitcoin simple. We’ll always respect our users and put them first with every decision we make. HODL Wallet is robust enough for seasoned bitcoiners yet approachable for new users. We believe Bitcoin is something that shouldn’t be dumbed-down. Instead, new concepts should be taught. Don’t be intimidated. We’re here to help provide solid knowledge and be there every step of the way. 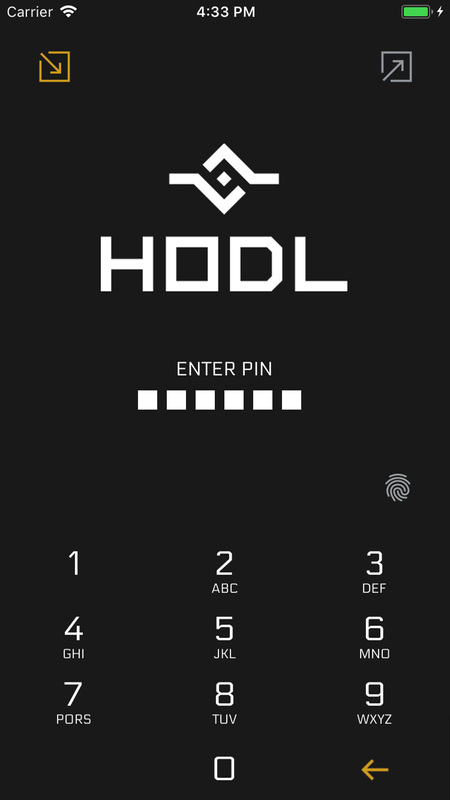 HODL Wallet generates and stores your bitcoin private keys on your device. This means HODL Wallet can never freeze or stop you from accessing your bitcoin. 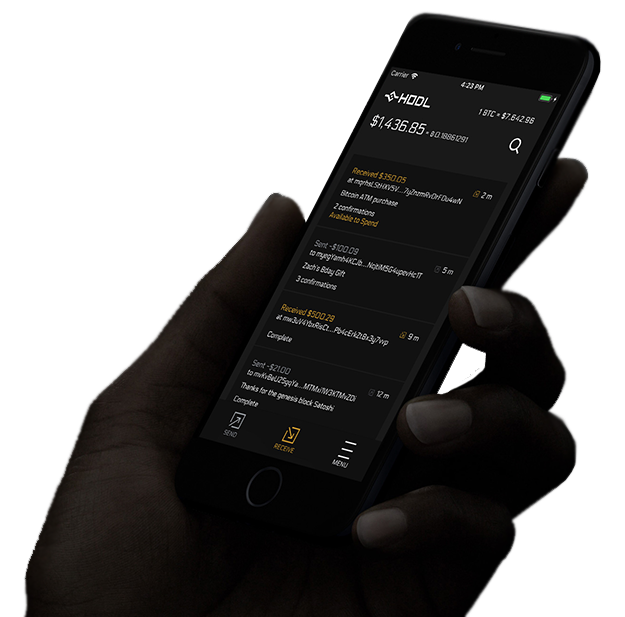 HODL Wallet uses Bitcoin SPV Technology to connect you directly to the Bitcoin Network. Advanced users can point HODL Wallet directly to their own Bitcoin node. Use our fee slider to pick 1 of 3 fee levels which are responsive to Bitcoin Network conditions . 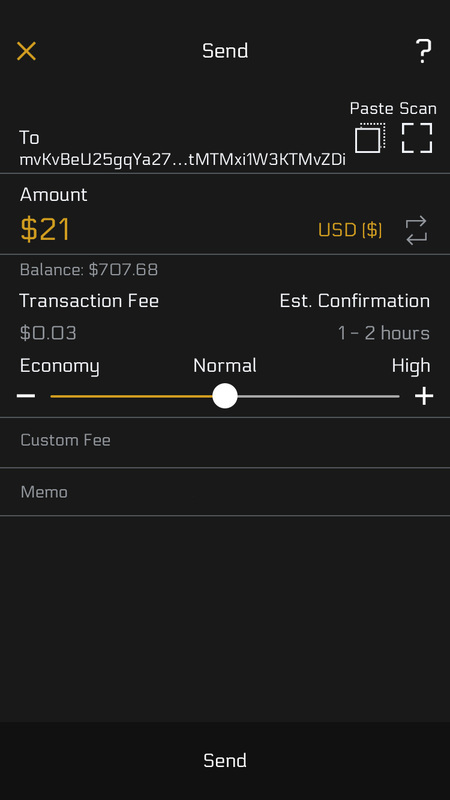 Advanced users can set their own custom fee. Bitcoin has changed the way money works forever. It’s one of the most important things you can learn about today. The terms and topics are new and different so they require a good teacher to help you familiarize yourself. We accepted this challenge long ago and have helped thousands of users use and learn about Bitcoin. From the Blockchain to private keys, we cover it all in our knowledge base. We believe that education of new Bitcoin users is critical. When users take a little time to learn the basics it has an overwhelmingly positive effect on their general financial knowledge.